Sign up for Broadjam today to follow Bombshell, and be notified when they upload new stuff or update their news! I am an artist from Miami ,Fl . 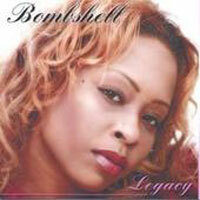 am known as 'Bombshell" to most of my peers but to many other artists I am also known as Namphuyo" Bombshell" McCray. I have worked with many artists such as Betty Wright, Gloria Estefan, John Secada , Gerald Austin, Trick Daddy, DMX and Joss Stone to name a few. I debuted my firs cd " It's the Bomb" in 2000. I recently completed my new Cd " Legacy" . It is available now on Cd Baby www.cdbaby.com/cd/bshell . 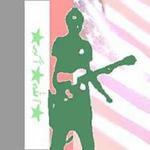 You can also hear and purchase individual songs on my My space page www.myspace.com/bshellc. The CD features a Mother Daughter duet with me and Betty Wright entitled " Please Help Me" Check it out. I am currently singing backup with Betty Wright and Ky-mani Marley check the My space page for Show listings.